KickThemOut. Image courtesy of latesthackingnews.com. A tool to kick devices out of your network and enjoy all the bandwidth for yourself. It allows you to select specific or all devices and ARP spoofs them off your local area network. A keylogger is a software that spy on your computer by recording every keystroke, In this tutorial we make a log file that writes that data when ever we enter username or password in our computer, The log file is usually encrypted and the master key lies with the user itself. Keyloggers are even used to steal the bank account passwords too,below is the script for the basic keylogger. Ubuntu has always been said as the Linux distro for beginners and entry users. It comes with plenty of free software and most of the things will just work after you installed it. However, if you have noticed, the recent build of Ubuntu is getting more and more resource intensive (with more animation and effects) and also come bundled with plenty of software that you probably have no use for. In short, it is getting bloated and doesn’t run well on old laptop anymore (at least in my case). While you can install another distro like Linux Mint, another alternative is to strip off all the software and unnecessary stuff and install Ubuntu from scratch. Here is how you can install a minimal Ubuntu on your (old) PC. For instance, you get a range of various birthdate data in Excel, and you need to convert these birthdate to display their exact age value in Excel, how would you like to figure out? This article lists some tips to convert the birth date to age in Excel easily. A batch file is a kind of script file in DOS, OS/2 and Windows. It consists of a series of commands to be executed by the command line interpreter, stored in a plain text file. Launch CMD by pressing the WIN key + R (Windows XP to present) then type CMD. This is the CMD interface where the commands are run and execute. This is the solution using the MD command and displaying it using TREE command. The folders can also be viewed in windows explorer’s left side pane. If you have a header or footer in your document, and you want to add page numbers without losing any information in that header or footer, use the Page field code. Click Insert > Quick Parts > Field > Field Names > Page. MANILA, Philippines — Chinese Foreign Minister Wang Yi insisted that Beijing will not accept the arbitration case filed by Manila in connection to the disputed South China Sea. Wang claimed that the arbitration case filed by the Philippines before the Permanent Court of Arbitration in The Hague, Netherlands violates its bilateral commitments to China. Former Foreign Affairs Secretary Albert del Rosario earlier called on China to respect the forthcoming decision of the international tribunal. It takes a lot of time, money, and effort to produce free quality content. For every tutorial you see in his YouTube Channel, it takes 1 hour of work for every 3 minutes of video. For every 10-minute podcast you hear in his SoundCloud, it takes 4-6 hours to produce. For every written tutorial you see in https://www.samgalope.com, it takes 5-8 hours to research, write, and prepare. It takes 2 hours to send it all to you and an infinite number of hours to answer your questions via Facebook chat. As you can see, it takes an enormous amount of resources when he share his expertise for free. He’s not asking for MONEY. No! That is something He will never ever do. He stand by his pledge. He will not charge students in exchange for information. He is here to help anyone get into the web development business FREE OF CHARGE. He is here to share with you his experience in the industry. He is here to give away as much as he can. But he needs your help as well. He would greatly appreciate it if you buy him a beer or two. 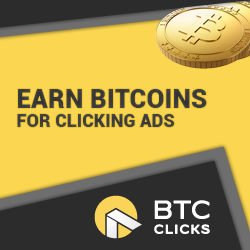 Earn money at the same time! True to his pledge to share useful knowledge for free, here are a few ways you can BUY HIM A BEER and EARN MONEY AT THE SAME TIME. Buy him a beer by signing up with https://www.ojooo.com and earn money by clicking advertisements, playing games, watching videos, answering surveys, and downloading/playing games on your iPhone or Android phones. Buy him a beer by signing up with https://shorte.st and earn money by shrinking links and sharing them. Buy him a beer by signing up with Propeller Advertisements and earn money by placing advertisements on your website — just like with Google Adsense. Buy him a beer by signing up for Free Web Hosting with x10Hosting. This is by far the best free hosting service provider he has used thus far. In fact, he is so happy with it that he converted his free hosting account to full premium. That’s how satisfied with x10hosting. NOTE: This does not work for Pakistan, Afghanistan, India, Africa, and other countries. Buy him a beer by signing up for Free Web Hosting with 000webhost. NOTE: This WORKS for Pakistan, Afghanistan, India, Africa, and other countries. 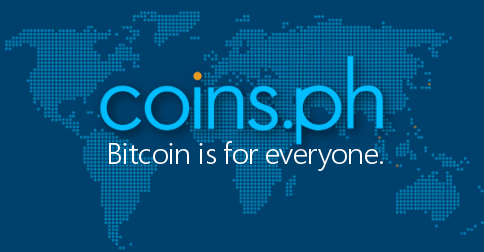 Buy him a beer by signing up for a FREE BITCOIN/ETHERIUM WALLET and PAYMENT GATEWAY in the Philippines with Coins.PH. Earn money by paying your bills through the system, buying cellular phone credits, and referring others.